SO your thinking about buying a PowerPC Mac here in 2013 ( When this post was written) were now they are about 6 years old. An interesting decision. Some things " Just won't work" with it being so old. Check Amazon, which is were you should be buying from, and compare the prices to something like a netbook. With the price 250$ in your mind, please if you going to spend that much go a little higher say even 250$ you could get a older Macbook, ANY intel Mac is better than a PowerPC one in basicly every way. BUT everything PowerPC is cheaper, keep in mind its cheaper for a reason. I paid 125$ for my Powerbook G4 1.6ghz 15' 1gb ram. Which was a great purchase on my part. BUT know that PowerPC's are going to be alive (Able to use the internet) for probably about 10 more years. Don't get any PPC with under 1Ghz Proccessor it will run like poop, or under 1GB ram. If you do buy them like this obviously lower the standard price and buy ram with it. Also becareful with selection, its better to go with refurbished than used, the people that list them used probably don't know the specs and you might get something you didn't order. The G's in the proccessor the higher the better Max is G5 lowest is G3. I wanted to add a few things, if you don't mind. First, I think the best place to look for a PPC Mac is in local classifieds (Craigslist, or equivalent). Shipping will add a significant amount to the overall purchase cost of, say, an eMac, or iMac G4. eBay or Amazon is best suited for finding replacement parts, or software. You forgot to mention some of the better known issues with certain generations of PPC Macs. First, the first and second generation iMac G5s are notorious for logic board failures caused by faulty capacitors. While some owners had the logic boards replaced by Applecare, other owners were more negligent. One could assume that most iMac G5s in operation today (4/24/2013) have had their logic boards replaced. I would advise any potential buyer to inquire about replacement of logic board, and/or visually inspect the condition of logic board capacitors. The third generation iMac G5s (very similar to first gen Intel iMacs) had LCD issues where lines would appear onscreen. The only fix is a new LCD. With regard to eMacs, some of the 1 GHz and 1.25 GHz were also plagued with faulty logic board capacitors. Some of the faulty capacitors can be inspected by removing the memory cover on the bottom of the eMac. If there are any signs of bulging, or leaking of rust-colored goo, stay far away! While these capacitors can be replaced, it's a very specialized repair that requires good soldering skills. And... eMacs aren't the easiest computers to work on. G3 Macs may have their place in collections, but G3 iMacs can make awesome little jukeboxes because of their Harmon Kardon speakers. Also, G3 iMacs support Airport (with an adapter), so you can put them just about anywhere and still have network access. Be cautious about purchasing one, especially with a bad hard drive. Like eMacs, the G3 iMacs aren't the easiest computers to repair. Another thing to note is that although an iMac G3's slot loading optical drive may still work, it may have trouble ejecting discs. External firewire optical drives will suffice. I still see Powermac G5s listed with asking prices between $250 to $500. That's a lot of money to spend on an outdated Mac. I would spend no more than $200 for a third generation iMac G5 and no more than $150 for the second generation. I would stay away from first generation G5s unless you can find one for less than $100 that includes Airport, keyboard, mouse, and recovery discs. eMacs can range in price from $40 to $100 depending on generation, and features. Look for eMacs with 1 Ghz, 1.25 GHz, or 1.42 GHz (the 1.42 is the last generation). 1.25 and 1.42 are more desirable because they have the faster USB 2.0, support 2 GB of PC-2700 or PC-3200 memory, and Airport Extreme. The 1 GHz also supports Airport Extreme, but memory is limited to a max 1 GB of PC-133 RAM. 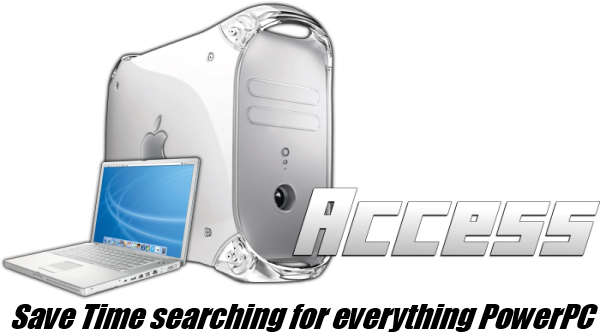 I would pay no more than $100 for an upgraded 1.42 GHz eMac, inclusive of maxed out RAM, larger hard drive, keyboard, mouse, and recovery discs (or hopefully retail Leopard discs). G3 Macs can be had for $20 to $50, or free if you're lucky. I've never been in the market for an iBook of any kind, so I have no advice. Because laptops are hard or impossible to upgrade, I tend to stay away from ones that are 3+ years old. If you're in the market for an iBook, use your best judgment.